Sarah, gorgeous explanation. I’ve always wondered if the release cue very early and using it to reset behavior makes sense. My vision is that resetting a down or sit by tossing the treat tells the dog that getting up from the down/sit for food is fine. If you don’t teach a stay but that the behavior continues until release it seems cleaner to release the sit/down from the start. Thanks Patricia! There is usually no confusion with tossed food to reset if the click does indeed end the behavior. 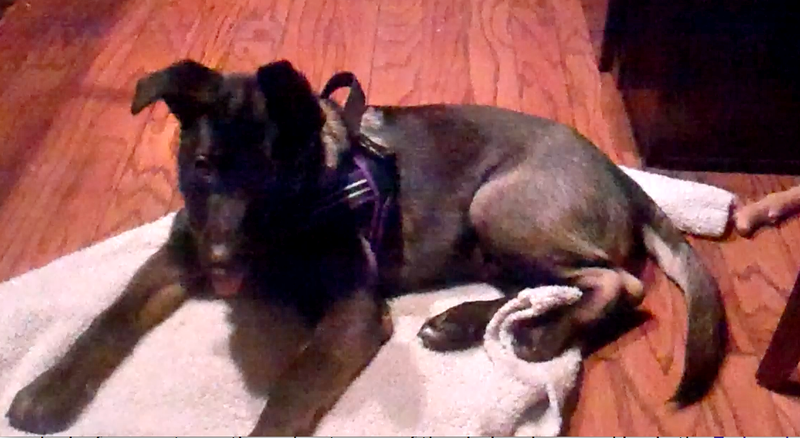 The click is a cue that means “orient to food (or other reinforcer) delivery point).” Although I’m breaking my own rule of duration training, sort of what I’m doing with the puppy in the video is dividing the chain into two parts: go to mat and lay down–CLICK! 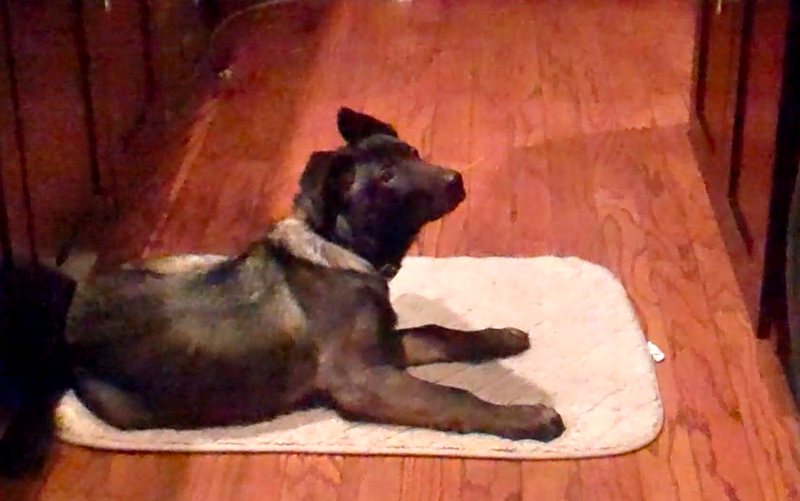 Then Stay on mat until OKAY—he gets up–CLICK and he can now eat the tossed treat. But as I say, I usually skip the middle click to make it crystal clear that the behavior, or behavior chain is done on OKAY–CLICK!